Albatross offers four non-smoking double rooms with private entrances, each with a small kitchenette for guests who wish to keep, and prepare personal meals. Breakfast is served in the main house where the morning papers and news are available for those guests who wish to remain in touch with world events. A lunch pack can be arranged and a reservation at a restaurant of your choice for dinner can be made. If you do not feel like stepping out for dinner a wel-known West Coast chefs will prepare serious soul food to indulge in in the comfort of the house. We also offer braai facilities in a relaxing garden setting for the visiting braai masters. For those who wish to further stay in touch DStv and Wi-Fi access are available in all rooms. Laundry services, and airport transfers, can be arranged on request. Our smoking guests are accommodated on the veranda and in the garden where they can relax and enjoy the outside peace and quiet. Unfortunately Albatross is not wheel chair friendly at this stage but have already initiated upgrading to also welcome guests with wheel chair requirements in future. The guest house is clean and kept neat however it is abit small. Lovely host. Beautiful rooms and the best breakfast. You wont be disappointed. Amazing attention to detail. Worth every star. Remember you need to book breakfast additionally. Not self-catering. Lovely stay! Beautifull place! Warm welcome and a lot of attetion to small details. 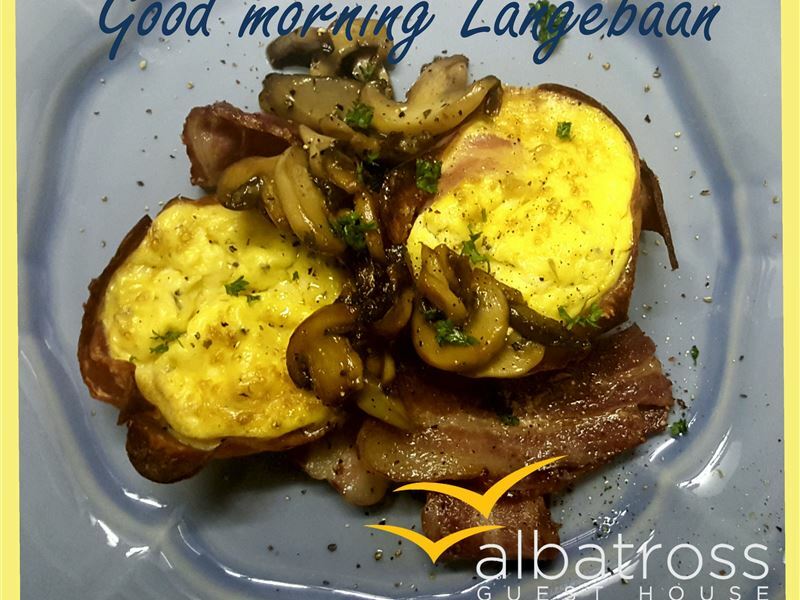 Awesome food and great distance to everything in langebaan! Absolutely fantastic! Great balance beten interaction and privacy. And the breakfasts... too good! Leoni is a hostess par excellence. Our room was perfect. She helped us with adjustment to make our stay pleasant and memorable. Breakfast served on the patio superb. Thanks for a wondetful break. 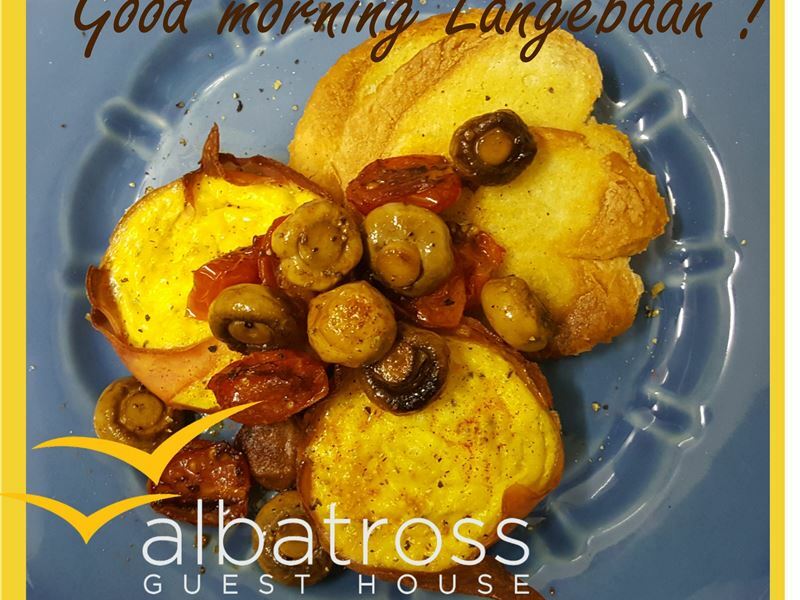 Request a quote from Albatross Guest House at no obligation.